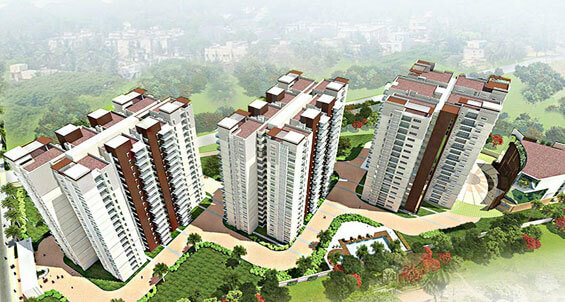 Prestige Ivy League is a ongoing project is one of the trusted real estate developers by Prestige Group. It is located in Hitech City, Hyderabad. that is rubbing shoulders with almost all major Multi National IT Companies. 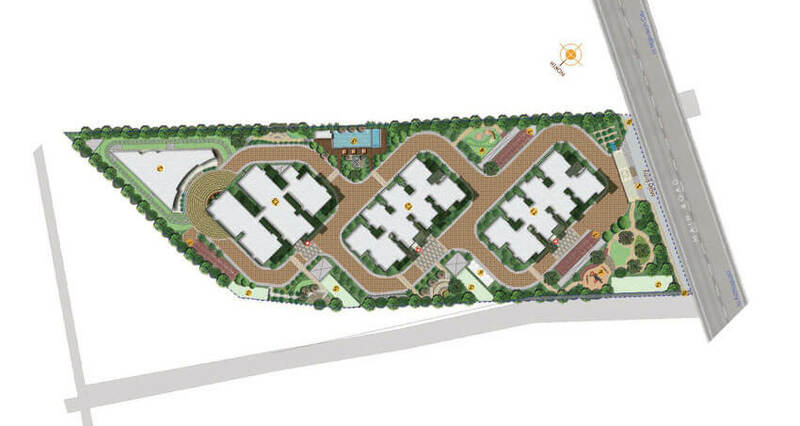 this project is an ultra-premium residential community that is set on 5 acres of land. 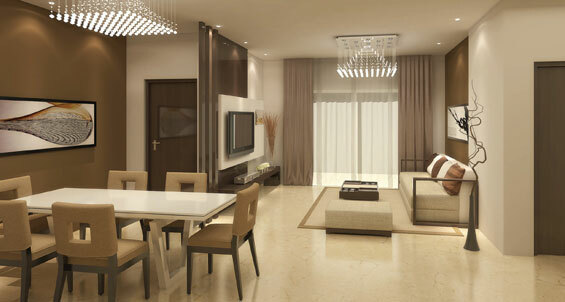 It has home to unique creation of 2 BHK, 3 BHK and 4 BHK Spacious Apartments. Prestige Ivy League is a total area of 5 acres of land, high raised 3 towers with 17 floors it is offering and consists of 349 no.of apartments (units). these project of prestige group has a residential and luxurious apartments having different bedroom flats will be coming up the expanding resident of the hyderabad city. Prestige Ivy League is a residential project developed by Prestige Group business experience in across India.This project offers offers 2bhk, 3bhk and 4bhk Residential Apartments near Hi-Tech City Road in Hyderabad. The price of these apartments starts from 1.00 Cr onwards, which is very much affordable to all the classes of the people. Here we are showing the latest construction status and progress of prestige ivy league project. Prestige Ivy League delivers a quality of life in a luxury flats affordable with the ensure you are never far from the family with all little conveniences near by the project. It is a prominent gated community very close to main road of Hitech City in Hyderabad. It comes up with one of the top close clubhouse with top notch facilities that include high end specifications and premium lifestyle amenities. project is constructed as the best venture by the experts under keen monitoring. Be it the magnificence in planning, the centrality of area, the feeling of detailed construction, scene, the key approach and the rich highlights, Ivy League makes life simple and magnificent. ivy league promises to be the perfect home for you with residents can discover the world class amenities like never before. 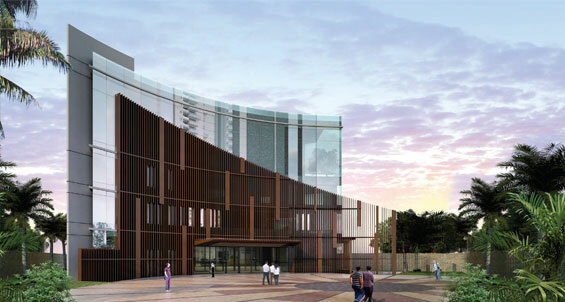 It has 3 high raised towers that are surrounded by shaded landscapes. This ongoing project is approved by GHMC. Prestige Ivy League is a residential project developed by Prestige Group. It is one of the most Prominent builders in India. Mr. Razzak, the founder of the Prestige group established it in the year 1986 and it is considered as trusted company in the field of real estate. Prestige Group has cemented their name in the hearts of people of Bangalore. Now there are about 60 ongoing projects covering an approximate 60 Million Sq ft area and about 30 upcoming projects and Properties in Bangalore. In recent times many small builders have cashed in with the high demand for residential and commercial buildings. One such builder whose name goes by the reputation is The Prestige Group. In the past 20-25 years Bangalore has seen a giant leap in real estate scenario. A lot of people with little construction background are plunging into full-fledged construction business. In recent times many small builders have cashed in with the high demand for residential and commercial buildings. One such builder whose name goes by the reputation is The Prestige Group. This group has got many Prestige Awards compared to others. Prestige Group has many Residential and Ongoing Projects like Prestige High Fields,Prestige Lakeside Habitat, Prestige Jindal City, Prestige Boulevard, Prestige Lake Ridge, Prestige Kew Gardens,Prestige Fontaine Bleau, Prestige Sunrise Park, , Prestige High Fields Hyderabad, Prestige Jindal City Bangalore and many more. 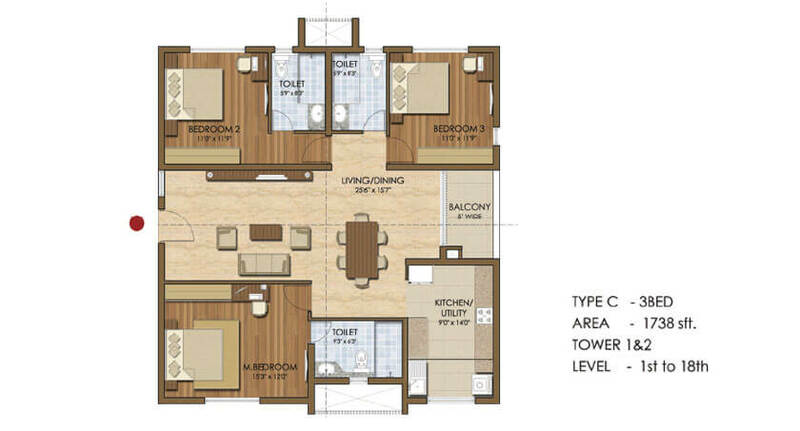 Prestige Ivy League floor plans is an extraordinary project that is spread across 5 acres land. It offers 2 BHK, 3 BHK and 4 BHK flats for sale. The unit sizes range in between 1327 sq. ft to 3498 Sq. ft. It has 3 towers and each tower have 17 floors. It accommodates total 349 well sculpted apartments. Modern Kitchen, Contemporary Living room, Bedrooms, balconies and Bathrooms are available in each unit. Club house is constructed in 4 floors. Prestige Ivy League provides 2 BHK, 3 BHK and 4 BHK flats at modest prices that can be owned by all classes of people in society. 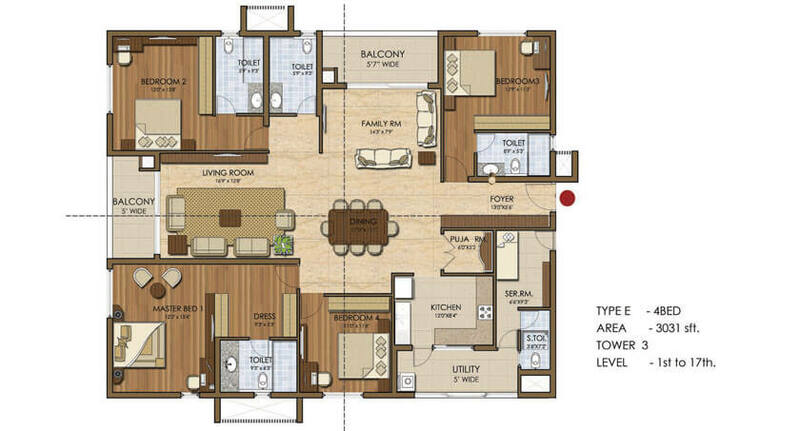 2 Bedrooms flat price starts from Rs. 1.00 Cr onwards. 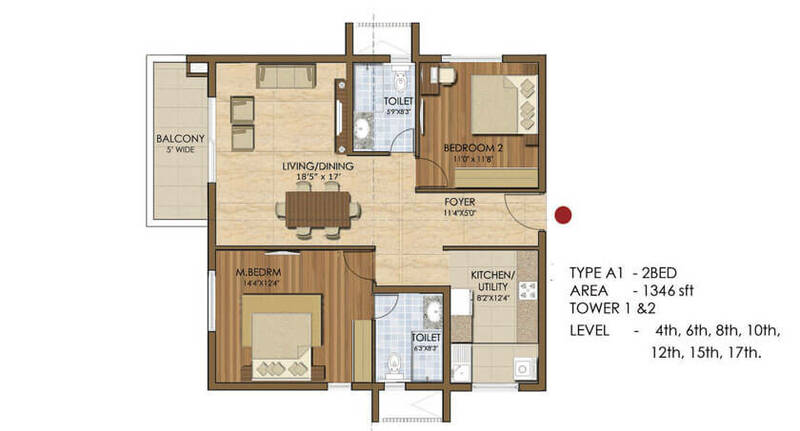 3 Bedrooms flat price starts from Rs. 1.30 crore onwards. 4 Bedroom flats price starts from Rs. 2.27 crore onwards. The rate per sq. ft in Prestige Ivy League Hyderabad Price per Sqft is Rs. 7500. It is fortune to invest on this project as it enhances the value of your property over the years. Extra chargers will be applicable as per your preferences like corner preference, garden view preferences etc. Ivy League is a venture that makes whole world available in it. To spend a comfortable life one should be able to have everything they require near their door steps. Having this in mind, Prestige Ivy League is committed to provide most excellent amenities. Ivy League has unique designed four floors that are completely assigned for club house. The club house includes all the facilities that equals to your requirement. Whether you are at your leisure time or in boredom, this club house recharges your mind by letting you indulge in area of your interests. Swimming pool, gym, Lift, Two Wheeler Parking, Play Ground, ATM, Compound Wall, Security, Community Hall, Car Parking, Super-Market, Power Back Up, Squash, Power Supply, party-hall, Table-Tennis and many more excellent amenities are available at its best. Prestige Ivy League Specifications will let you lead life with standards and dignity. These 3 high raised buildings are surrounded with trees that bring shaded afternoons. Every single inch in house is developed with care and it assures long lasting products. This project offers never before quality of life. Prestige Ivy League is project that everyone is looking for. The major advantage of Prestige Ivy League Location is considered as most advantageous area in twin cities. It is very close to kothaguda junction. Multinational companies like Wipro, Google, Infosys, and many Business processing companies are in vicinity from this project. Top rated educational institutes, international schools and colleges are available just few kilometers away. Many shopping malls like Inorbit mall, D-mart, Manjeera mall, Sujana forum mall, Manjeera mall and Super markets like heritage fresh, Ratnadweep, More super markets, reliance fresh, Heritage are in walk able distance from this Ivy League. The international airport is located in 15 Kilometers away from this project.